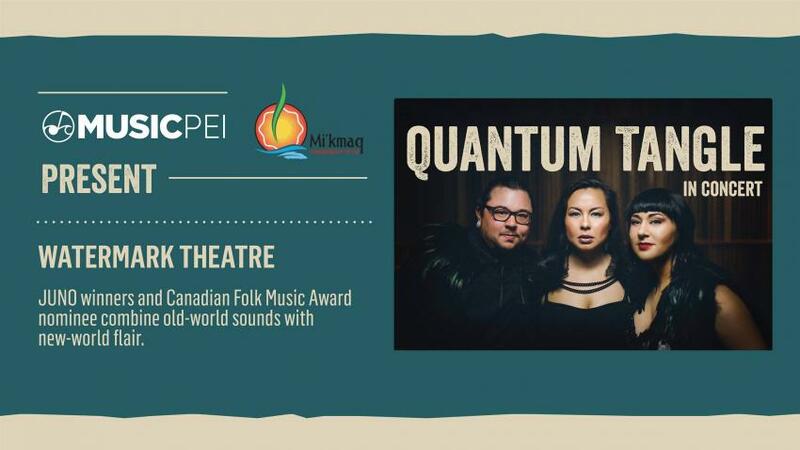 Music PEI in partnership with the Mi’kmaq Confederacy of PEI are pleased to present Juno award winners Quantum Tangle in concert. Fusing of old-world sounds and new-world flair, Greyson Gritt, Tiffany Ayalik, and Kayley Mackay are embracing their blended backgrounds. Combining their talents of throat singing, haunting melodies and traditional legends, the JUNO award-winning group are excited to present a mix of flavours from across Northern Canada.